Can't get enough of Kings Island? 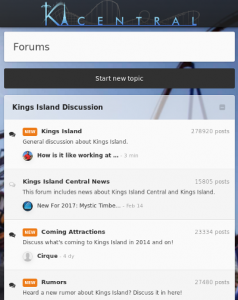 Our huge forums are the place to go to discuss everything about the park. Check out a few of our all-time favorite threads, or see what's trending! 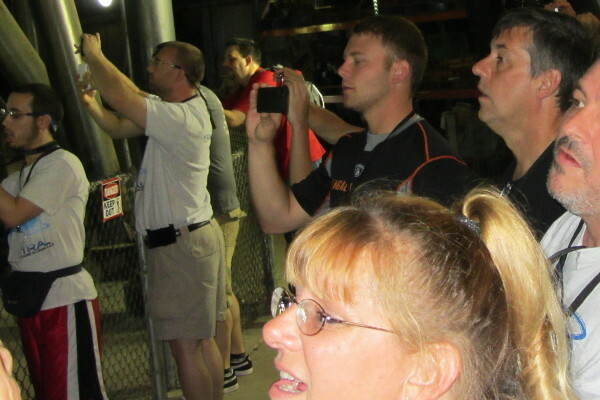 One of the best ways to enjoy Kings Island is surrounded with people who share your passion. KIC members get together for outings & events several times each season. Watch the forum to stay up-to-date with what's going on! 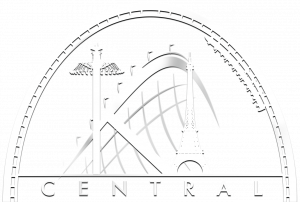 KICentral has a long history of welcoming members with diverse backgrounds, beliefs, interests and experiences. As a community, we've established a few simple rules to ensure that everyone has fun. Treat other members how you would want to be treated - online and offline. We welcome everyone's thoughts & opinions, but we strive to be accurate when reporting facts. Your assistance in avoiding false or exaggerated information is greatly appreciated! Our forum software makes it easy to share & discuss photos you find online. Be sure to link back to the original source. When visiting Kings Island or any park, respect all rules & safety instructions. Photos taken in violation of park policy (eg. unauthorized cameras on rides) aren't welcome here. Anyone clamining to have "insider" knowledge must credit their source. We encourage members to be careful about what they share online. There are many places to discuss politics, but this isn't one of them. Check out our FAQ to learn how to insert photos, create your profile, understand commonly used abbreviations, and more!